On the Ground in China! Considering a guided trip to China but can’t visualize your day to day? Step into our On the Ground with WIT Agent Barb Baumer. Barb traveled to China in March 2013 with one of our favorite small group tour organizers, General Tours. We stayed at the Sofitel in Beijing, a very nice hotel in a good location, not too far from Tiananmen Square. In the morning we had a walking tour of the Forbidden City, Summer Palace and Temple of Heaven. In the afternoon we visited we visited the Great Wall. There are now two locations most frequented by visitors, General Tours goes to this newer location called Ju Yong Guan, as it is less crowded with visitors. After one day in Beijing, we flew to Xian for an experience unique to General Tours—GT partners up with the Antiquity museum and allowed us to examine and handle ancient artifacts thousands of years old, all of which have been recently excavated from archaeological sites all across China. We also visited the Terra Cotta Warriors in Xian. It’s an amazing place, much larger than I expected. IT’s hard to comprehend the enormity of the area and the amount of artifacts that have been uncovered. They are still working to rebuild many broken statues! We then flew to Chongqing to start our Yangtze River Cruise on the Yangtze Explorer. This ship has large rooms, all with balconies and lots of storage space, very substantial buffets for breakfast and lunch, with multiple a la carte choices for dinner. We stopped at the village Fengdu and sailed through the Three Gorges. In Shanghai we spent time walking along the Bund and Pudong. General Tours took us to a small silk factory where we were educated on the production of silk fabric. We also spent time at the Shanghai Museum, which has great collections of Chinese artifacts, sculptures, paintings and ceramics from many different eras. We also were set up for a private guided trip to Suzhou, Portland’s Sister City—the city has so many gardens—it was early spring and things were just starting to bloom. We took a high speed train and met a guide in Hangzhou, a beautiful city on a lake surrounded by green hills. We visited a Buddhist temple in the hills and a tea farm—a nice respite from the bustling Shanghai. WIT Agent Barb would love to share with you more of her firsthand tips from China! Call Barb at 503-224-0180 for more information on China and/or General Tours. WIT Agent Barb heads over to China! This week WIT Agent Barbara is heading out to the land of Dragons and Emperors! She is traveling with General Tours in China! General Tours is renowned for its small group tours, with a maximum of 16 passengers that can book. Founded in 1947, GT is one of America’s oldest tour companies and has been lauded by Frommer’s, Travle + Leisure, and the New York Times. The tours are fully escorted, and each includes private transportation, insightful tour guides, entrance fees, most meals, internal flights and taxes. Remember agent Linda’s terrific trip to Colombia last summer? It was organized by General Tours! March 18-19 – Beijing. With her guide and compatriots, Barb will check out the age-old city of Beijing. She’ll explore the historic Tiananmen Square, the Great Wall, and the inner courtyards of the Forbidden City. Her accommodations are pre-arranged at the Sofitel Wanda—a 5-star hotel with Sino-French influences. Centrally located with easy access to the city square, the hotel also features 4 restaurants, ballroom, and spa. March 20-21 – Xi’an. 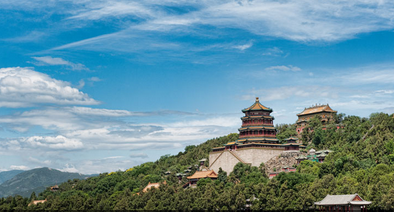 Next, Barb will head to China’s elusive ancient capital, Xi’an. She will come face to face with the terra cotta army and learn about dance and music of the T’ang Dynasty via a live performance. She and her group will overnight at the Hilton Hotel Xian, a contemporary hotel located downtown with décor inspired by T’ang Dynasty artwork. March 22 – Fengdu. Barb will explore the “Ghost City” of Fengdu and its lovely, historic temples. March 23-24 – The Mighty Three Gorges and Shennong Stream. Barb and the rest of the GT gang will hop on a river boat up the Yangtze and take in the scenery of the coastline and mountain peaks. She’ll visit the mighty Three Gorges Dam and learn about its ecological and economic impacts. March 25 – Shanghai. Finally, Barb will land in Shanghai, where she has the day to explore this cosmopolitan city and its fascinating Bazaar, tranquil Yu Yuan Garden, and hip Tianzifang district. Her accommodations are located in the center of Shanghai, opposite the People’s Square. The 5-star Le Meridien Hotel has luxurious rooms that are equipped with wall to wall windows, 42” plasma TVs, 10 restaurants, and views of the Bund, river, or Shanghai’s skyline. Call Wittravel to discuss whether GT is right for you. We can advise you of your travel options, make reservations and shape the perfect itinerary for your preferences! We put our clients first and work hard to ensure you have a terrific trip. Extend your trip with an add-on in Japan or South Korea! Want to splurge for a night or two? Think about the new Club Med’s resort in Guilin! 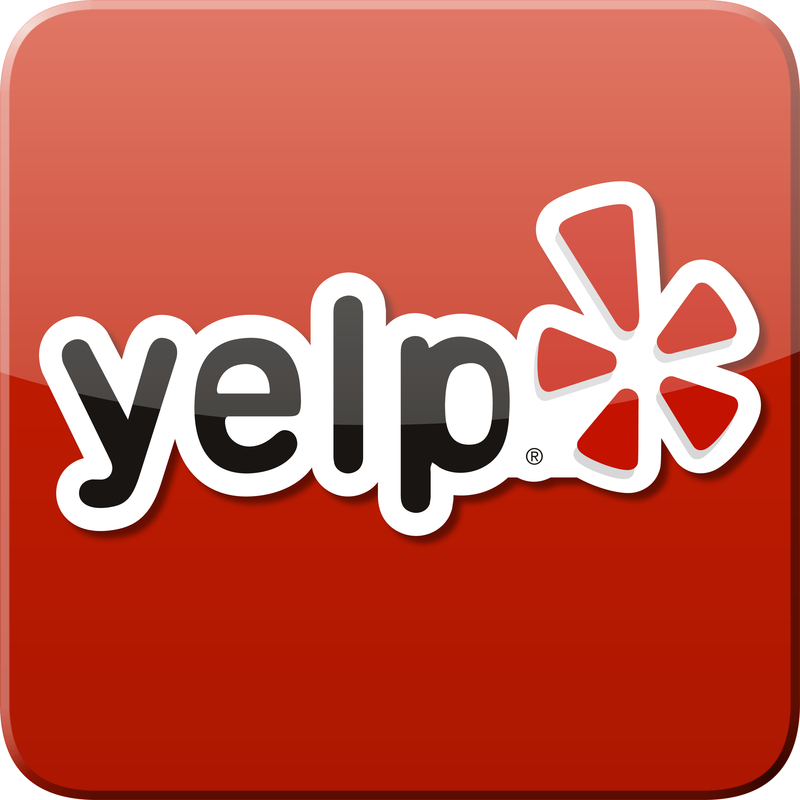 For reservations or general information, give us a call. – Pay in Full 2013: Save $600 or more per couple on any of our 2013 Small Group, Private Tours or Small Ship journeys when you pay-in-full at time of booking by August 30, 2013. – Family and Friends: Pay in Full and refer a friend or family member and save even more on your booking. Save $50 per person when 3 guests go, save $100 more per person with 4, $150 more per person with 5, $200 more per person with 6+! WIT Agents Linda, Christina, Pam and Wailana have all been to China. Linda recently traveled to Colombia on a small group itinerary with General Tours. Call us for more details! 800.821.0401 or email info@wittravel.com. Filed under Asia, China, General Tours, Our Travel Agents, SALES, Vendors, Where in the World is the WIT Agent? We already have clients booking their trips for Chinese New Year in Asia! Folks are getting ready for this wild lunar week, starting February 10, 2013. Call us now to book, because flights and hotels are already filling up! 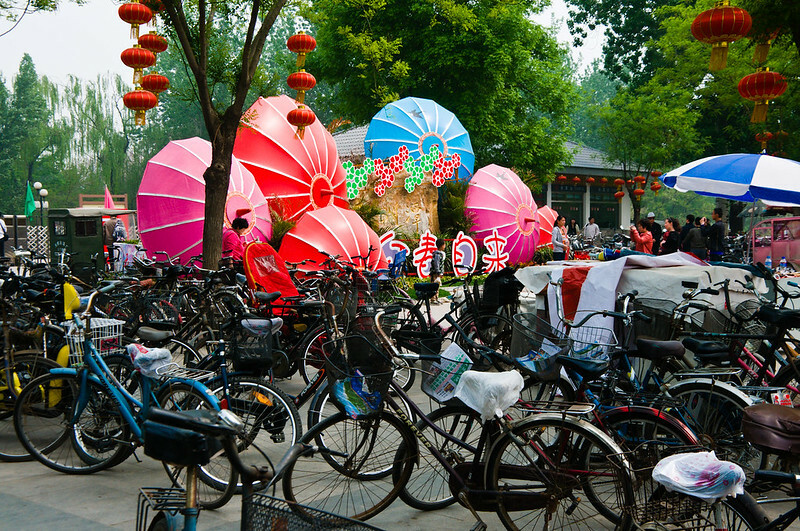 Where else to catch the festivals at their finest than the capital of China, Beijing? 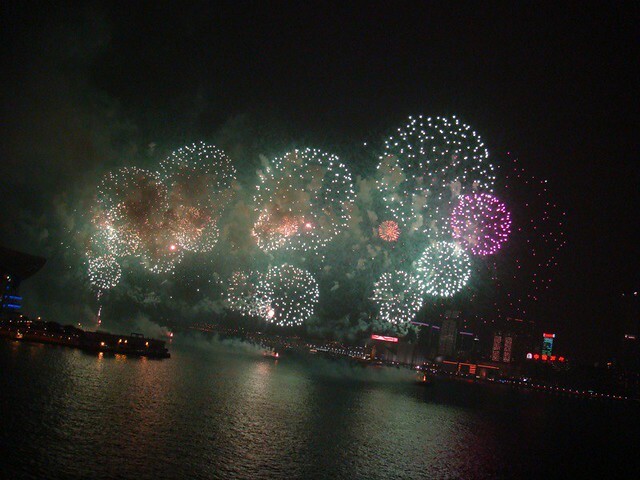 With a dizzying myriad of fireworks, acrobats, tours, parades—here there’s no end to the sights, dazzle, and fun activities. Visit a temple for a true immersion into culture, and catch exhibits of feasts, art exhibits, tea ceremony demonstrations, dragon dances, and other entertainment. During the New Year, the wild metropolis of Bangkok is teeming with celebrations, red paper lanterns, and colorful decorations. 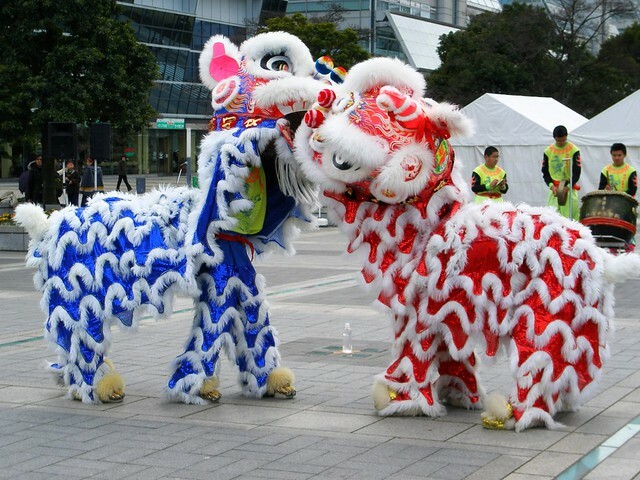 Travelers can enjoy the Southeastern slant on this dynamic festival—from acrobatics and firecrackers, to dragon parades and street fanfares. Pay your respects to the gods at Leng Noei Yi Temple. Dress up in your best red attire, purchase a gold coin in Chinatown for good luck, and eat at a traditional noodle house. Festivities in Bali, though more modest, are no less enthusiastic. Families typically celebrate at home, where they clean their houses of any bad luck, and prepare traditional meals together. Special dishes, such as egg skin dumplings, are thought to usher in good fortune. 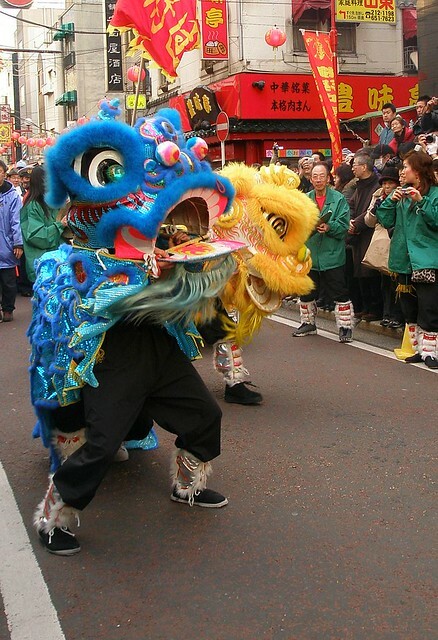 In the cities, festivities center around small parades, dragon dances, and the lantern festival. For a special treat visit the Buddhist temple in Kuta the Vihara Dharmayana.During thefestival the temple is dressed in red lanterns and colorful masks, with dance performances and tasty feasts for all visitors to share. 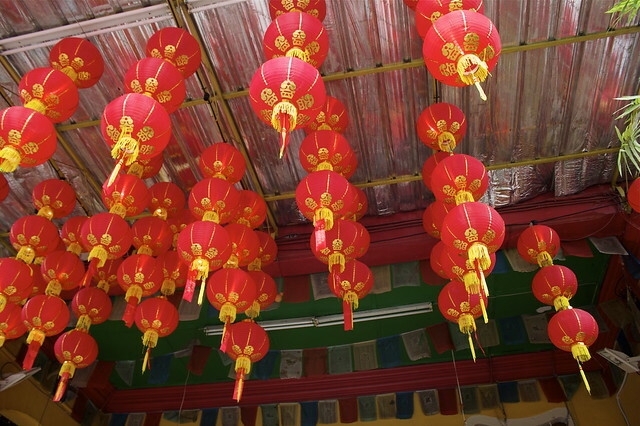 Nearly 24% of Malaysians are Chinese, and so the air is ripe for New Year celebrations. Families usually head home to spend time with their loved ones in the country, but that’s not to say there aren’t festivities abound in Kuala Lumpur. The week of festivals is all about food and dance in the capital. 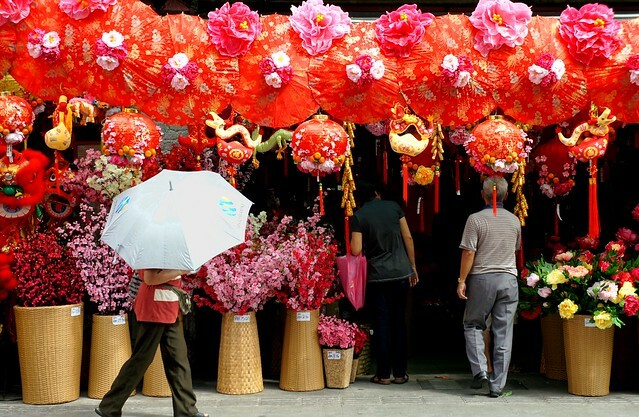 Catch a lion dance, a parade around town, see the midnight firecrackers, or go on a shopping spree, as many retailers hold sales during the week. Enjoy Chap Goh Meh, the 15th day of the New Year, when unmarried women will toss tangerines into the waters and wish for husbands. Head up to Penang, perched on the Malacca Strait, to see this in full blown action. The Chinese New Year in Singapore is a conglomerate of festivities, nighttime performances, dancing competitions and more. 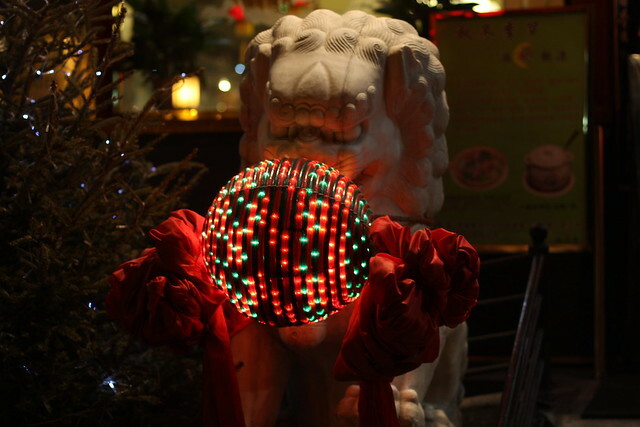 Vendors set up nighttime stalls and red lanterns in magical night markets. Families clean their home of any bad fortune. Head over to Chinatown, the center of the festival, where decorations are abound and street troupes mesmerize you with their lively acrobatics. Don’t miss the Chingay Parade to view its vividly colored floats, multiethnic dancers, and spectacular Fire Party. Heading to Asia for the festivities in February? We’re already booking clients for winter and spring travel! Ask our agents about their firsthand experiences in Asia. Call us at 503.224.0180.